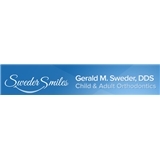 Gerald M Sweder D.D.S. (New York) - Book Appointment Online! A standard of excellence in personalized orthodontic care enables us to provide the quality orthodontic services our patients deserve. We provide comprehensive treatment planning to achieve your optimal dental health. Should a orthodontic emergency occur, we make every effort to see and care for you as soon as possible.